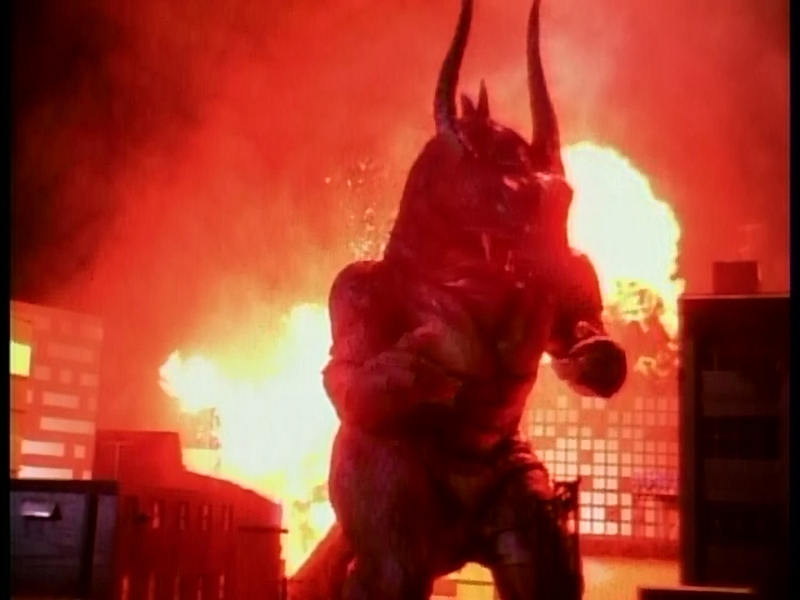 The year is 1997, and with The American Godzilla in production, Toho continued with its Mothra franchise. 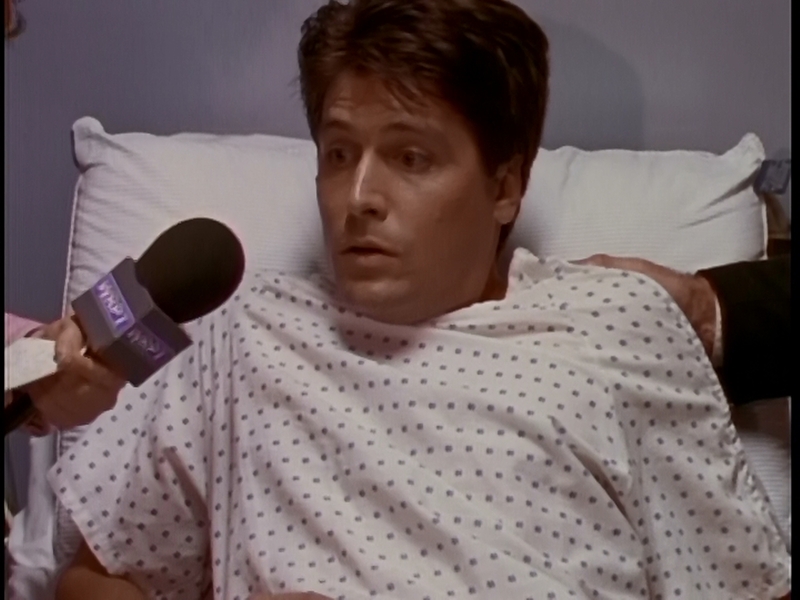 This is a direct sequel to the first film in the series. Moll and Lora, the shobijin, are back, albeit with new outfits. And psycho-sister Belvera is back, also, and with a veeeeery strange costume. 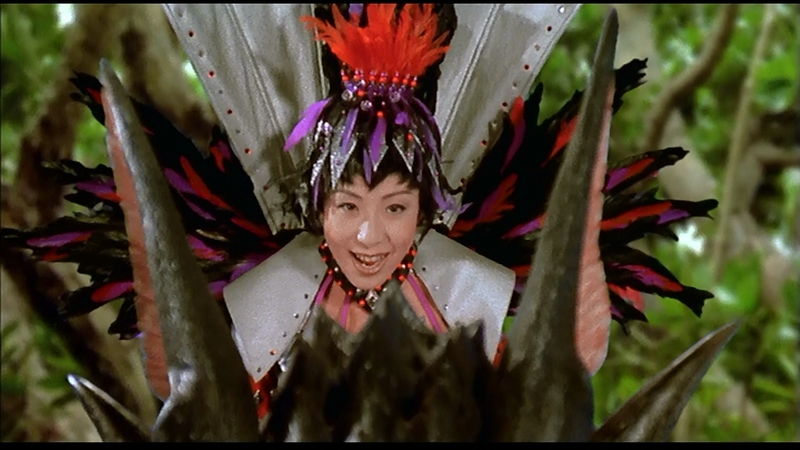 We have the tried and true environmental awareness, a trope with Toho's Mothra since Godzilla vs Mothra, Battle for the Earth, and going even further back to Godzilla vs Hedorah. 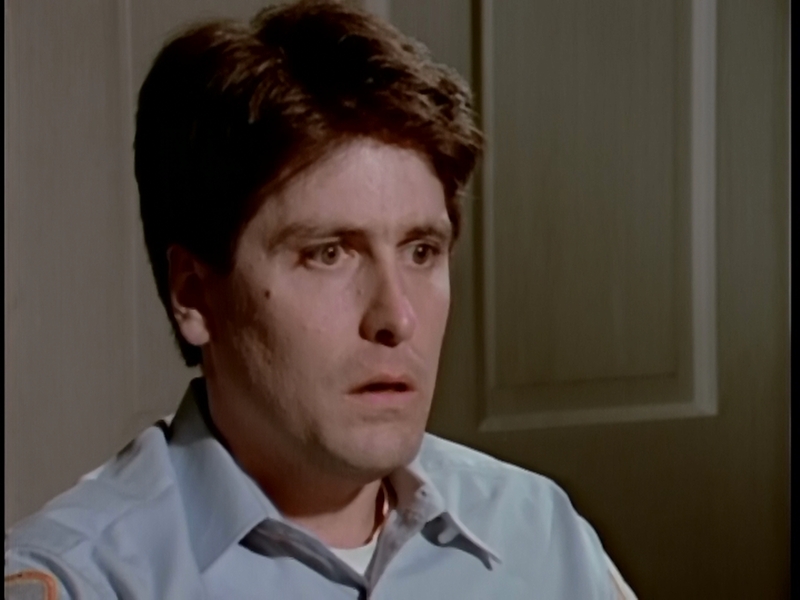 This film doesn't slam the theme into your face for minutes at a time, as the previous one did. This film also marks the end of an era. Tomoyuki Tanaka, who had produced more than two hundred films for Toho, including a large number of Kurosawa's films, and the entire Showa and Heisei series of Godzilla films, passed away just before this film came out. He was the last of the Gang of Five, Director Ishiro Honda, Special Effects wizard Eiji Tsuburaya, Haruo Nakajima in the suit, composer Akira Ifukube, and producer Tomoyuki Tanaka, to still be involved with the franchise. 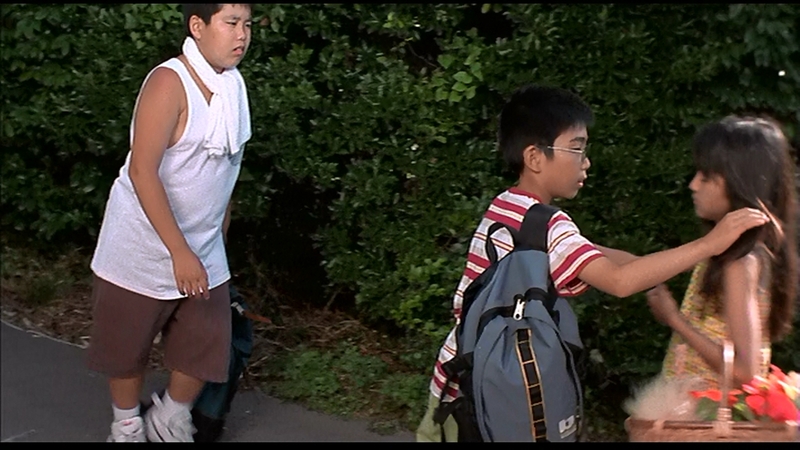 Nakajima is the last of them alive, and did make a (sadly cut) cameo in the 2014 Godzilla. Initially, the plot problem is that the ocean is infested with acidic goo-spitting starfish. They can't be from Earth, so this must be yet another alien invasion. This is set among the amusing hijinks of two boys who like a girl, and express this by bullying her. Oh how the minutes fly. 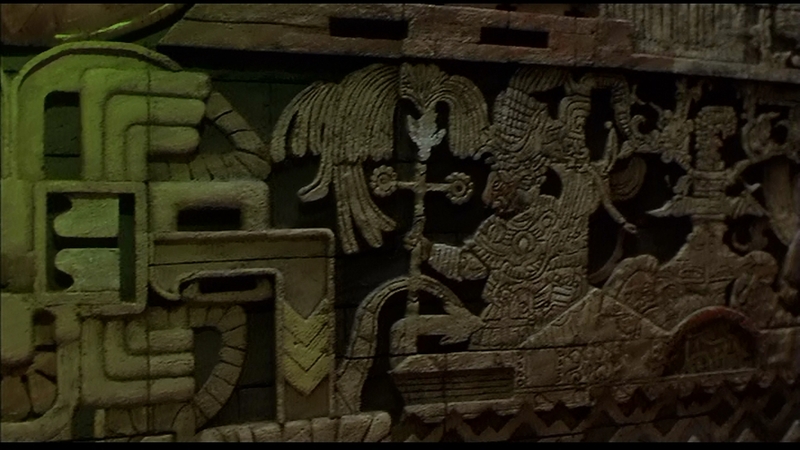 Again, the film draws on a drowned, ancient civilization, Nilai Kinai. 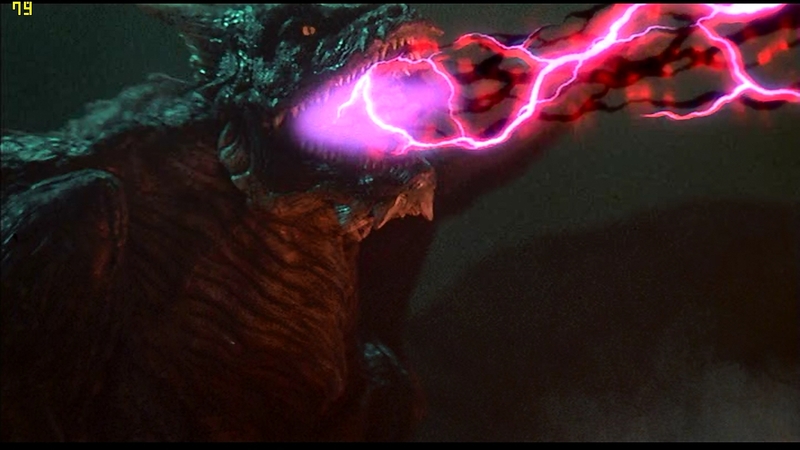 A repetition of the idea found in the original Gamera, as well as the Heisei Gamera series,, the Seatopians of Godzilla vs Megalon, and of course the Mu civilization from Atragon. This is different from Infant Island, where the Shobijin originally come from. The Infant Islanders are stone-age Pacific Islanders, and never had a technological civilization. The largest influence is Godzilla vs Mothra, Battle for the Earth, since the Nilai Kinai civilization created Daghara, which destroyed the civilization. When activated the Nilal Kinai pyramid looks like a cross between Borobudar, on Java, and some sort of Mayan structure. 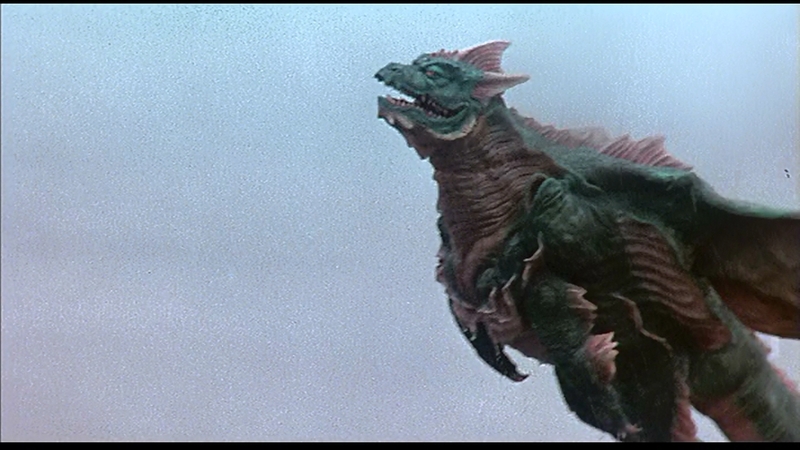 Our first glimpse of the new antagonist Dagahara, is the same one we got in Return of Godzilla and Godzilla vs King Ghidorah; he wrecks a submarine. This monster was genetically eingineered by the advanced people of Nilai Kinai. But in an error, it spews out the acid-goo starfish that are giving the coast of Okinawa so much trouble. The design isn't revolutionary, but it works just fine. Quadrupedal, with wings, it has a long neck and a crown of three horns. 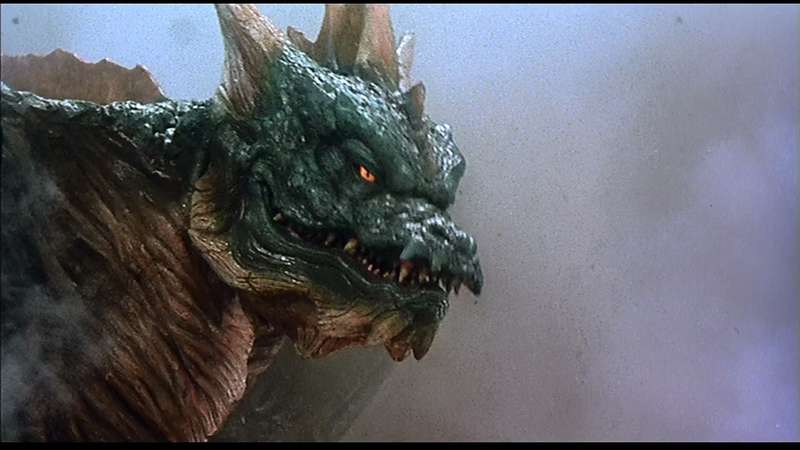 The face is more alligator-like than lizard-like, and seems to have been an influence on Pacific Rim's Leatherback. It is massive and simultaneously aquatic, which becomes apparent when it starts to fly. Weapon-wise, Dagahara has a spiralling purple energy breath, some sort of shoulder-mounted canon, and can fire energy bolts from its spines. It's strange to see the creature with all the different offensive energy blasts. Godzilla has one or two at the most. This Mothra is the same one that triumphed in the last film. 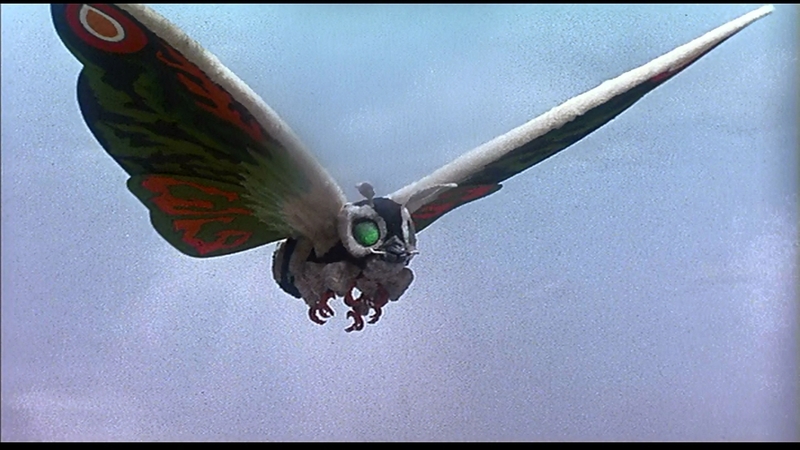 With green eyes, and a straight edge to the front of its wings, this looks more combat worthy than the previous, more round-winged Mothra design. It has an array of energy weapons, and as with the previous film, it gets an additional power just before the last big fight. 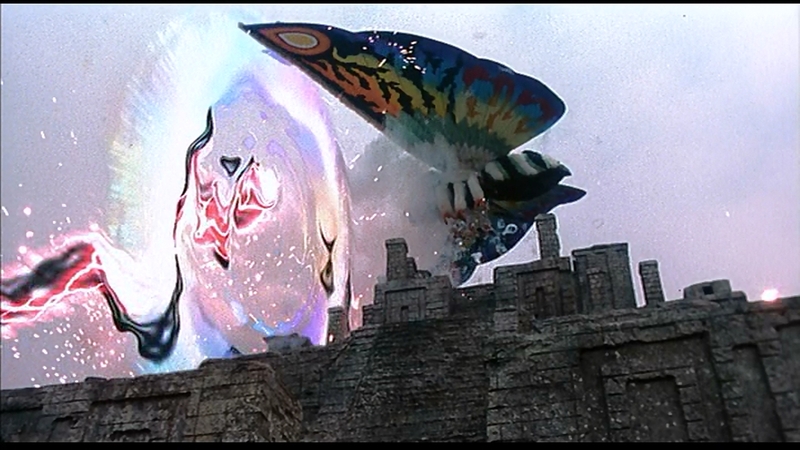 This time, Mothra gets a shield, which deflects Dagahara's energy weapons. It also changes its wing and eye colors (back to blue). 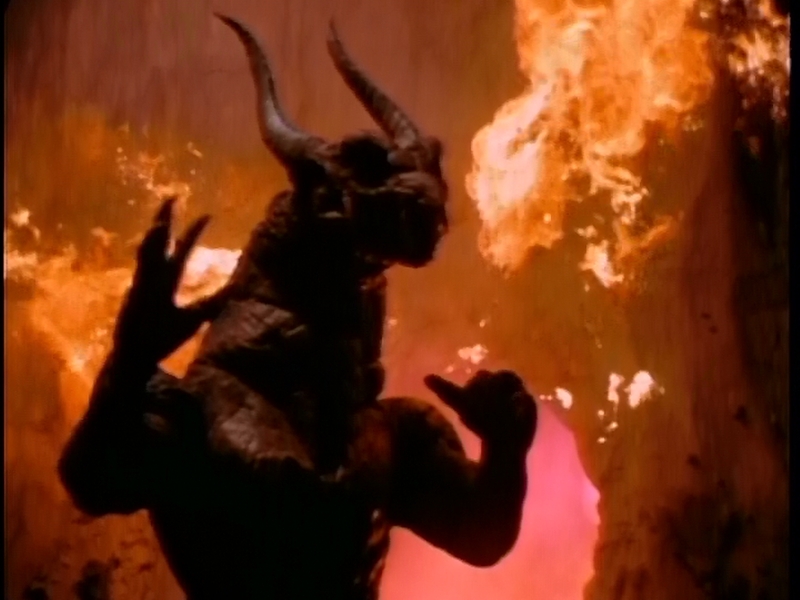 And this, the end of the final battle, is when things get weird. 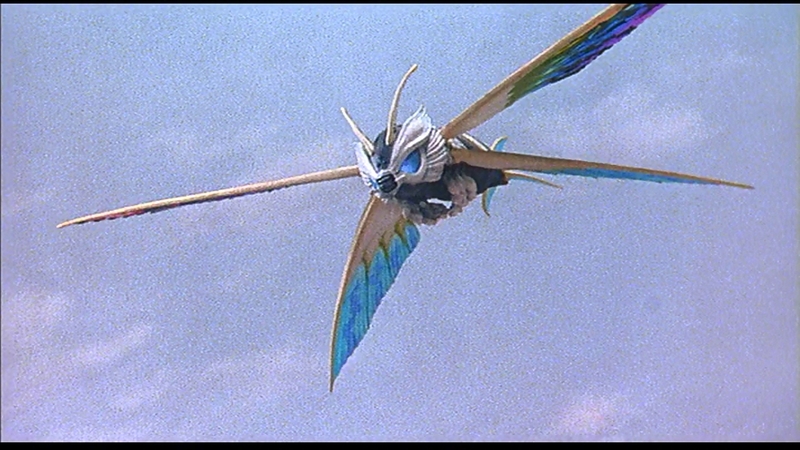 As with the first Rebirth of Mothralast film, Mothra divides itself into hundreds of smaller Mothras, and these fly down Dagahara's throat. 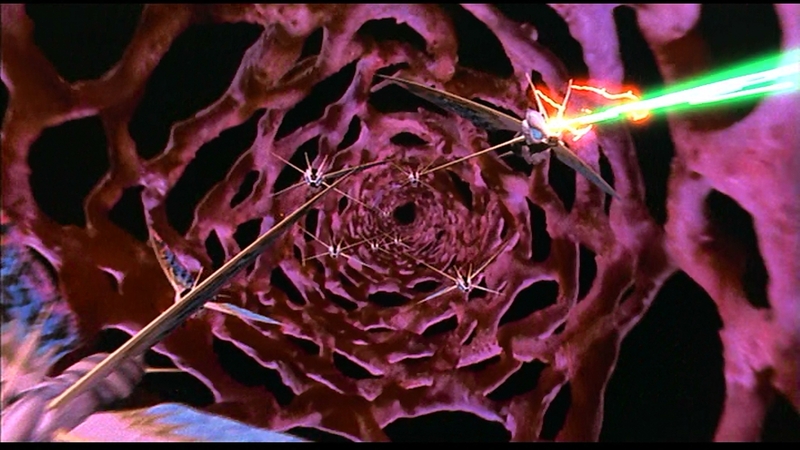 There, like little X-Fin fighters, they fire off lasers that destroy the acid-goo starfish. 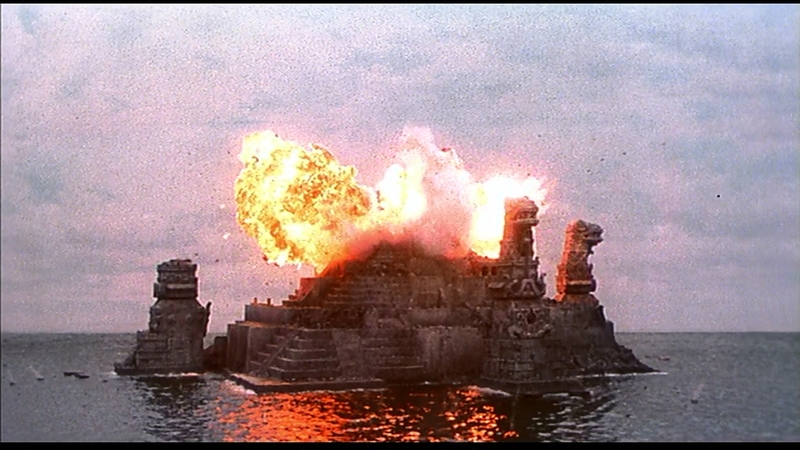 Mothra then draws its enemy out of the water, and drops it on the pyramid. 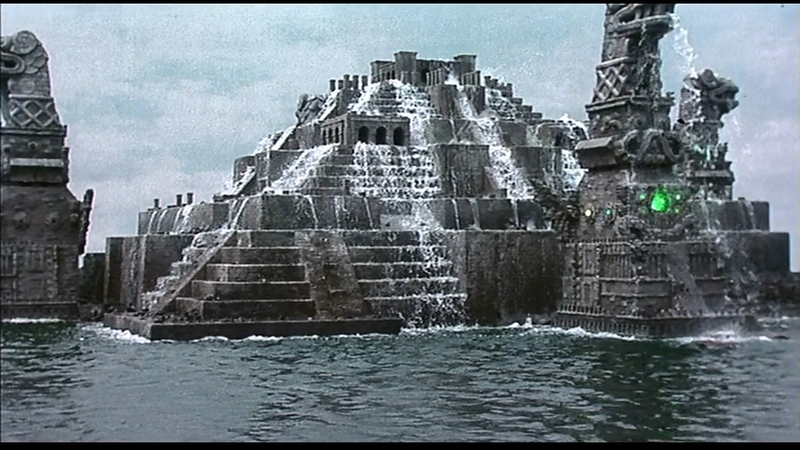 Many explosions ensue, and then the stone pyramid turns to water. Sure. 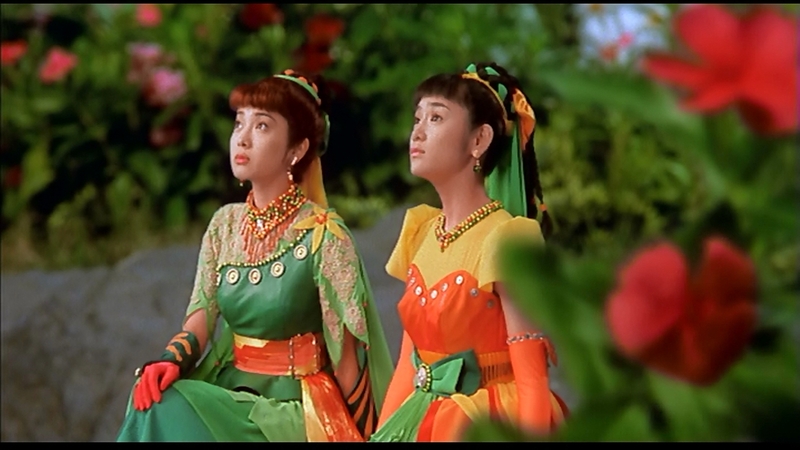 Rebirth of Mothra was a decent enough kaiju film after the first half an hour. This follow-up feels like it's loaded with padding. 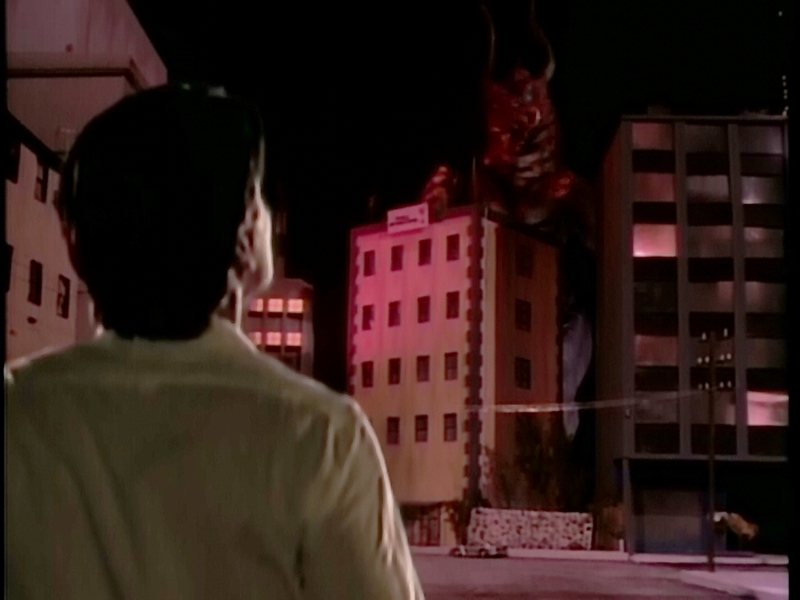 Lots of running up and down pseudo-Mayan corridors chasing after the overly-cute Ghogo, Mothra's running engagement with Dagahara seems drawn out. 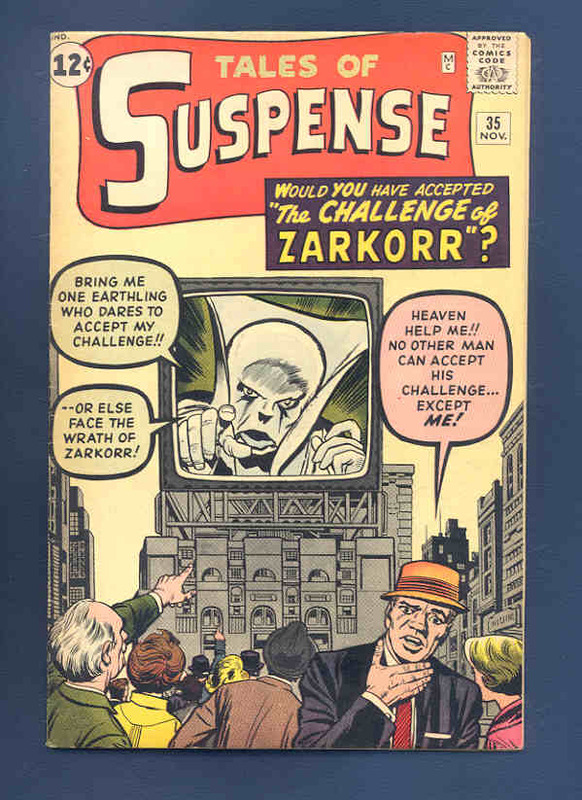 The envoronmental message has been softened somewhat from the previous film, and the kids are less obnoxious. It'll be less annoying with subtitles, which should be available on the Blu-Ray collection released two days ago. 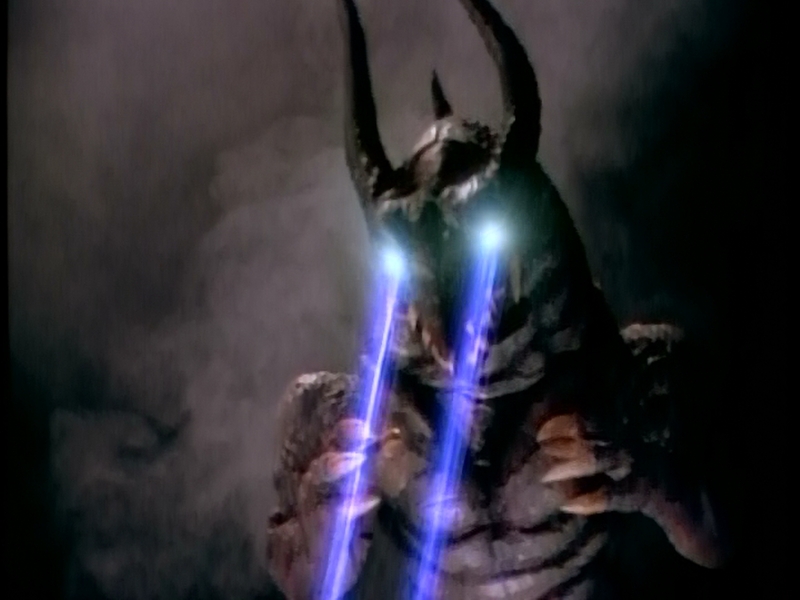 This feels like a higher-budget Gamera picture with nonsensical plot, kaiju powers showing up out of nowhere without explanation, kids who are unsympathetic, and a lot of magical thinking. It's kids' fluff, not meant to be remembered, just consumed and discarded. All these complaints are minor compared to the next film. 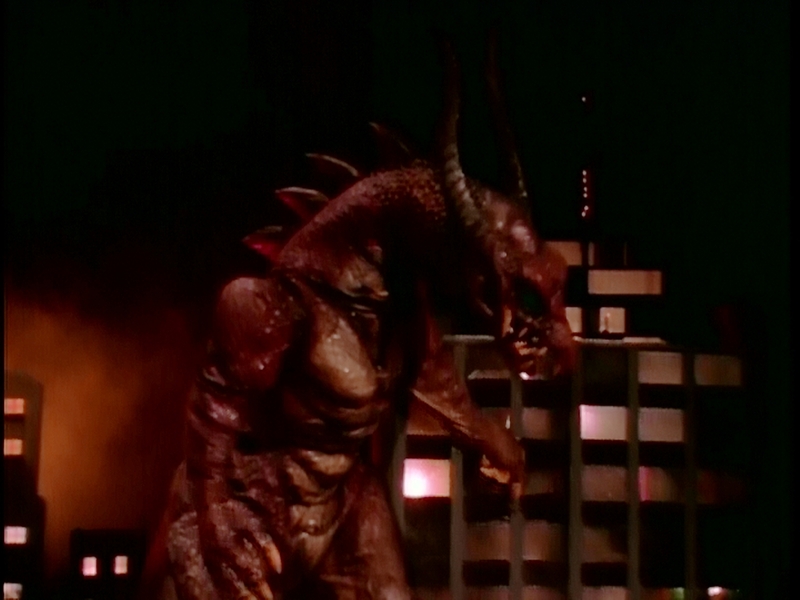 I will finally be dissecting the infamous 1998 Godzilla. If you're planning on sitting in the front row, bring a raincoat.